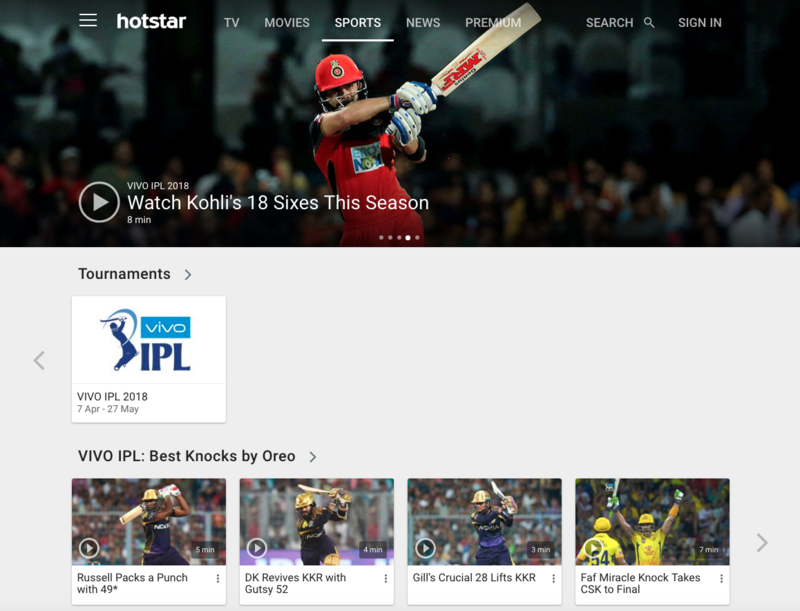 Indian streaming video service Hotstar has set a new world record for online streaming with 8.26 million concurrent viewers, according to the company’s CDN provider Akamai. 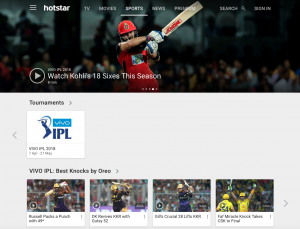 On May 22 Hotstar streamed the first qualifier match of this season’s Vivo Indian Premier league cricket between Sunrisers Hyderabad and Chennai Super Kings, with 8.26 million peak concurrent viewers tuning in simultaneously. Over four hours, more than 26 million viewers tuned into Hotstar to watch the match. The previous record for concurrent streams is believed to have been established by YouTube when Felix Baumgartner’s space jump in 2012 saw a peak of just over eight million concurrent viewers tuning in to watch the event. Last year recorded a peak concurrency of 4.8 million simultaneous viewers during the India-Pakistan ICC Champions’ Trophy final cricket match, the highest in the APAC at that time. The opening week of Vivo IPL 2018 broke this record with 5.5 million concurrency recorded on April, 10 followed by a peak of 7.1 million on April 25. The Vivo IPL 2018 tournament, now in its final week, ends this Sunday. This is the fifth year that Hotstar has streamed the tournament. The current edition of the tournament has included features such as Watch’NPlay, a skill-based game that tests cricket fans’ knowledge as they watch, virtual reality and feeds available in eight languages.